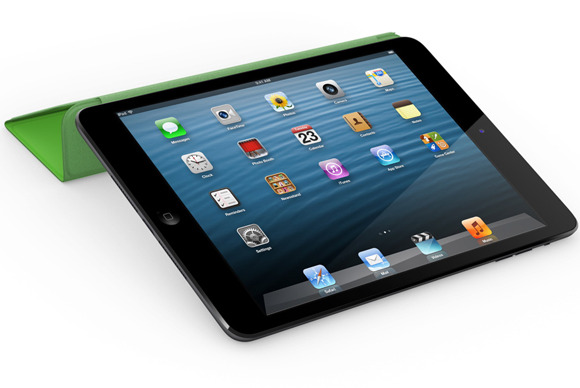 The iPad mini is, of course, smaller than the 9.7-inch versions of the tablet. And while that makes the iPad mini more portable, the scaled-down screen size also means that, in some cases, text can look awfully tiny. Luckily, there are workarounds. If you find that your email, notes, address book, or iMessages are too tiny to read comfortably on your new iPad mini, there’s a potential workaround you can try. Launch Settings, tap on General, and then Accessibility. Next, tap the Large Text button and choose a font size. Now, this change won’t make all the small text on your iPad mini bigger. Notably, the brief excerpts on display in the sidebars for Mail and Messages won’t get any larger, and that text is pretty tiny. And third-party apps won’t be aware of your text setting, either. The good news is, most apps that are reading-centric will offer built-in text sizing options of their own. That’s true for Kindle, iBooks, Instapaper, The Magazine, and many more. Though the interface for tweaking per-app font sizes can change app to app, in general, you’ll want to poke through an app’s settings, and look for these A/A buttons. Tap the larger A to increase the app’s font size. Remember too that you can zoom almost any text on your iPad. So as you’re reading an email message for example, reverse-pinch with two fingers to magnify the text temporarily. So if you’ve been struggling to read text on your iPad mini, with luck these tips will prove helpful.